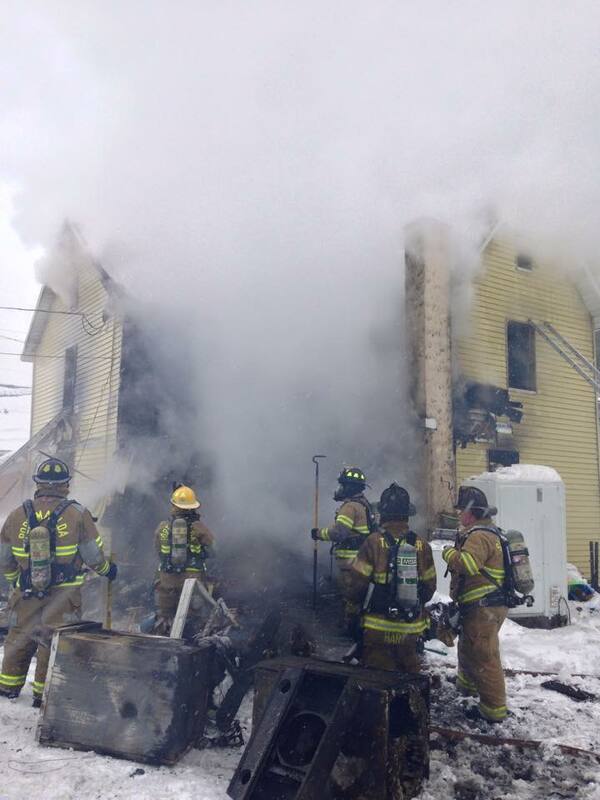 Quint 227 (5 men) and Engine 210 (6 men) assisted Company 9 (Milesburg) on this fire yesterday in Unionville. Quint 227 was special called by Command when dispatch indicated a working fire. The Quint arrived and the crew worked with Engine 9 to assist in suppression operations. Units encountered a well involved 1st floor, and several rooms involved on the 2nd floor. The Driver laddered the building and horizontally ventilated. Two POV (personal vehicle) responders and the... driver worked together to ventilate the roof as the fire had extended into the eaves and attic. Engine 210 laid a second supply line into the scene, with it's crew assisting in interior operations as well. Extensive opening up was required to root out pockets of fire on all floors. Unfortunately the structure was gutted.